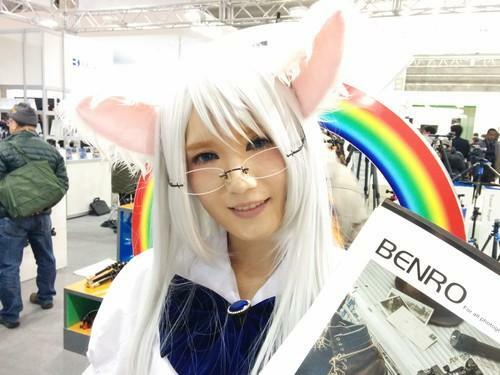 A model for tripod maker Benro greets visitors to the 2015 CP+ camera show in Yokohama, Japan. It's no Photokina, but CP+ is a still a good venue to check out the latest in cameras and photography gear. The standouts this year were Canon's EOS 5DS digital SLR, with its groundbreaking 50-megapixel sensor; Nikon's D810A, a digital SLR designed to capture eye-popping views of space; and added vanity functions to lower-priced cameras such as compact digital cameras. Have a look at some of the latest shooters at CP+ in our photo gallery.